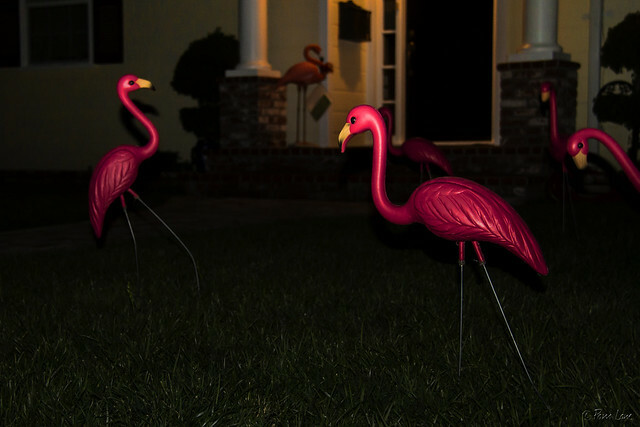 In a new spin to fundraising, you can now arrange to have your friends' houses "flocked"—held hostage by a flock of pink flamingos. 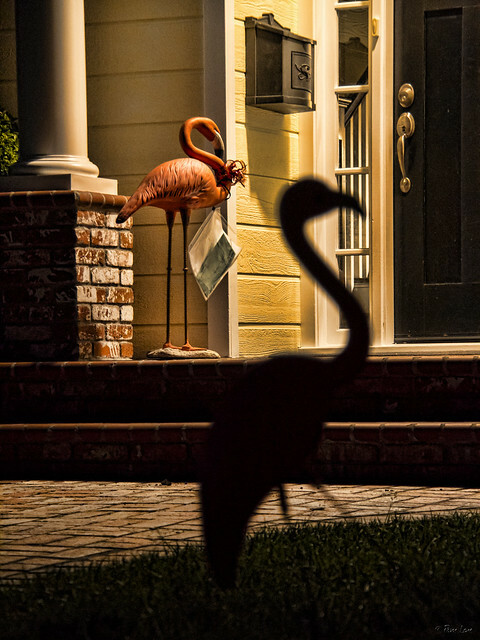 The flamingos arrive when no one is looking, along with a note on how they can be removed. The removal fee is $50. I suspect you also have to pay when you arrange the flocking. And while you're at it, you might as well buy the optional insurance (another $25) that will ensure that you are not flocked in return. 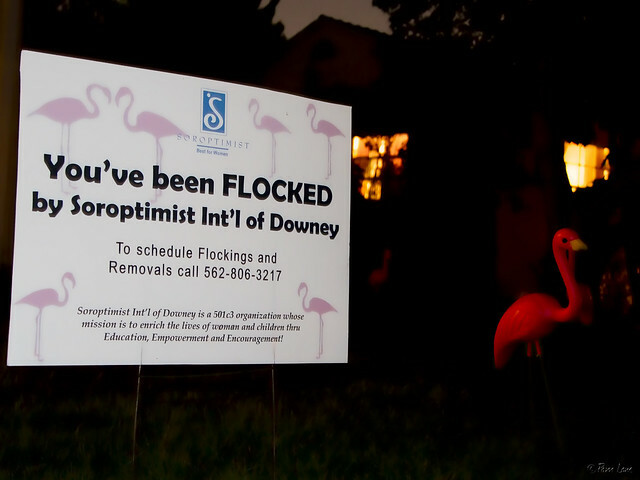 All proceeds from all this flocking go to the various charitable projects that are supported by Soroptimist International of Downey.